The deadline for Northern Ireland Screen’s Feature Documentary Development Funding is on Friday 15th March. 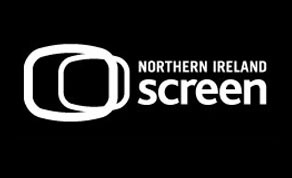 NI Screen intends to provide funding through the Screen Fund to develop feature documentaries that will deliver unique visions and voices on universal stories from Northern Ireland resident filmmakers.The application deadline for the development funding is. Northern Ireland based production companies can apply for up to a maximum of £7,500 based on a budget of £10,000. All applications including supporting documentation must be received by Friday 15th March 2019. All applications will be assessed with decisions intended to be made by mid-April 2019. There is no prescribed duration. Northern Ireland Screen will consider a broadcast hour, feature length projects and may, if the rational is compelling, consider two-parters or mini-series. Nothing will be automatically excluded on duration. This is a development call; projects that are already in production are not eligible. Successful applicants are expected to deliver a taster tape at the end of the development period. The intention is for supported projects to submit completed taster tapes to Hot Docs, IDFA and other leading documentary festivals. Projects that can demonstrate serious interest from a national or international broadcaster or sales agent. Priority will be given to projects that have international distribution interest rather than projects picked up for only the UK and Ireland. The quality of the proposed story and treatment. The quality of the director’s previous film(s). The track record of the creative team. The level of interest from potential international distribution partners and the potential international appeal of the project. Pre-application meetings with NI Screen Head of Production, Andrew Reid are strongly encouraged, as is early application. To arrange a pre-application meeting or to request a link to the online application form please email Funding Executive, Nicky Coyle, or call 028 90 232 444. All applicants must complete an online application form. Please ensure that all supporting documentation is submitted either online with your application or via email to Nicky. Failure to provide the requested supporting documentation will result in your application being eliminated from the feature documentary development call. A letter of serious interest from a national or international broadcaster or sales agent if applicable. Please note that priority will be given to projects that can demonstrate serious interest from a national or international broadcaster or sales agent. Letters from sales agents should reference the project, details of potential sales and key territories.